Quickie wireframes in Google Docs is sometimes all a client needs to visualize the differences a nav can make. I’m presenting three options of two core post-login member experiences (made possible by member segmentation): current (already revised once), revision, and disruption (a call-to-action-based nav that might be too nontraditional for this professional association, but we’ll see). 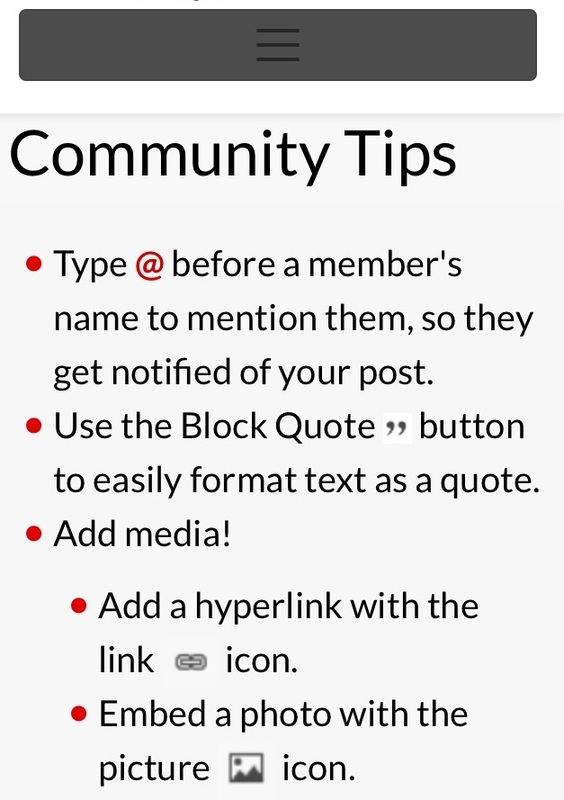 Community forum posts are more engaging when they include media and links and when members are tagged. 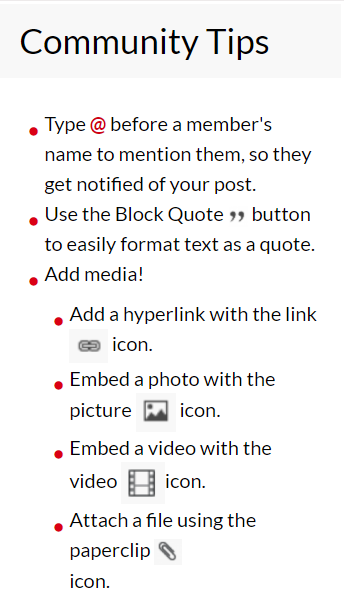 The goal of this Community Tips copy is to help users write better posts! My latest in the Austin Chronicle: a reflection of the Aztlan Dance Theatre’s The Enchilada Western: Texas Deep-Fried. Roén Salinas, artistic director of Aztlan Dance Company, began the show by lighting a fire. The small flame danced against the backdrop (painted by James Lawrence Thornton), a mountain-desert landscape under lava-colored clouds serving as a reminder that outside the air-conditioned black box, the heat index was still (still) around 100 degrees. An altar of sorts – bebidas, plantas – was set up stage right. A beautiful dancer in an embroidered muumuu, Ivelisse Santiago as the Coyolxauhqui Healer (Coyolxauhqui being an Aztec moon goddess with a violent past), wafted the smoke from burned sage around the room. Clearly, we were about to be immersed in a hot, semiurban wilderness.